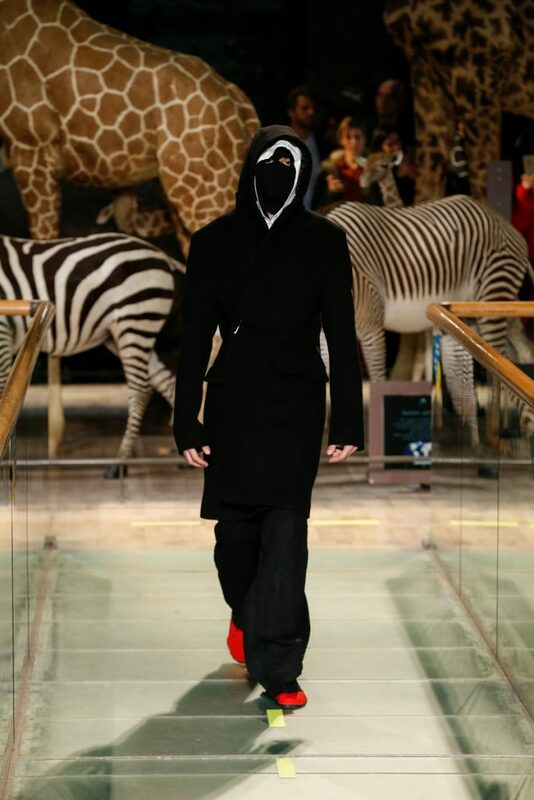 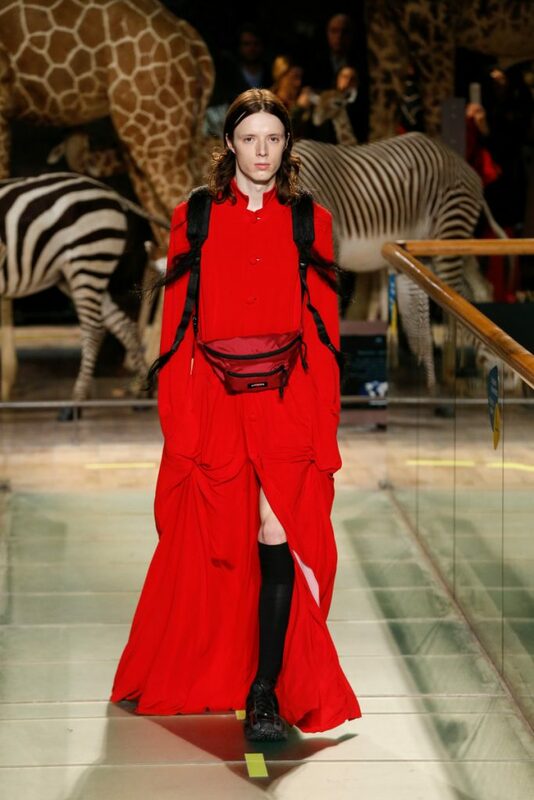 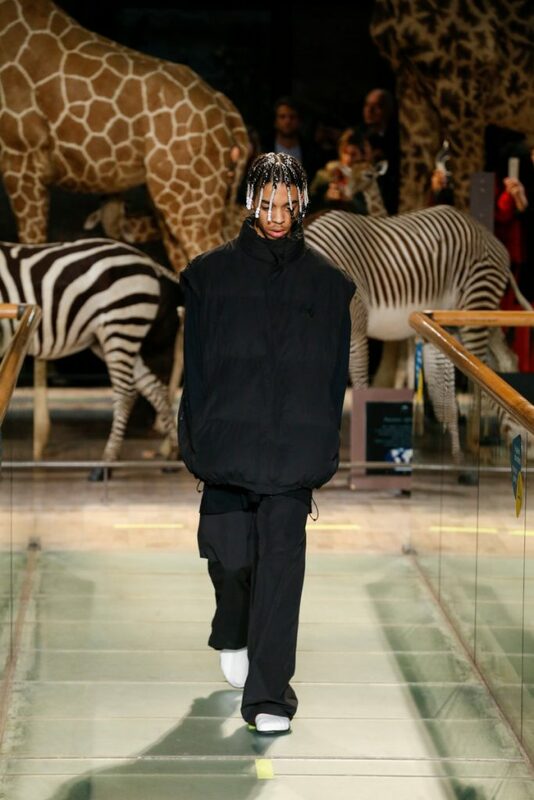 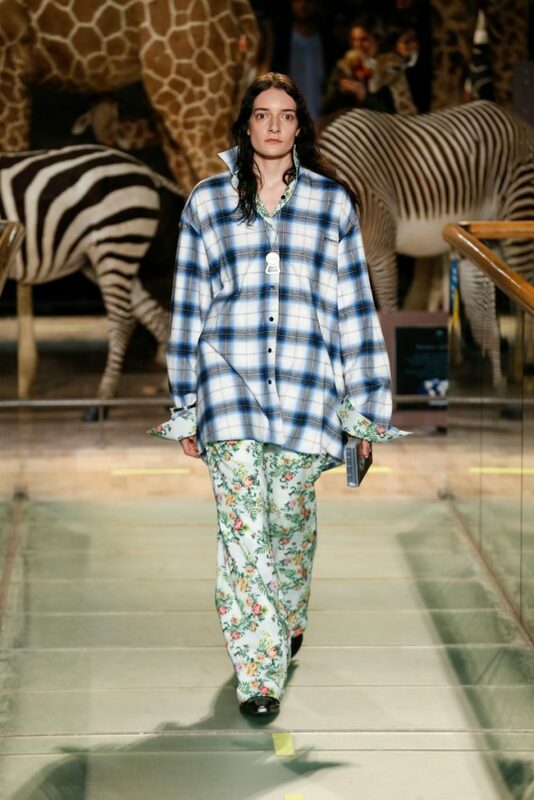 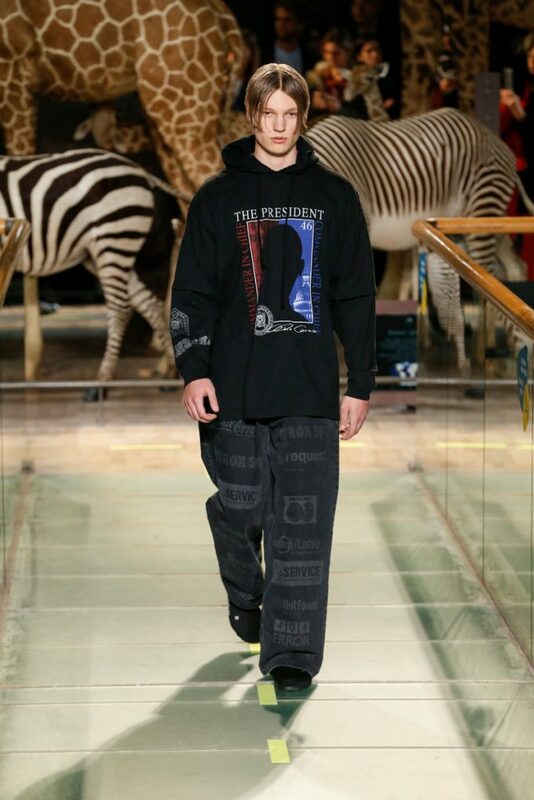 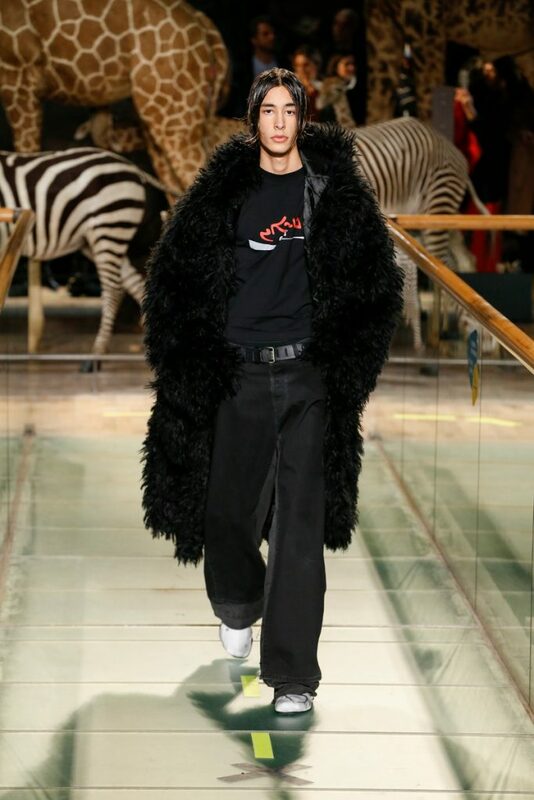 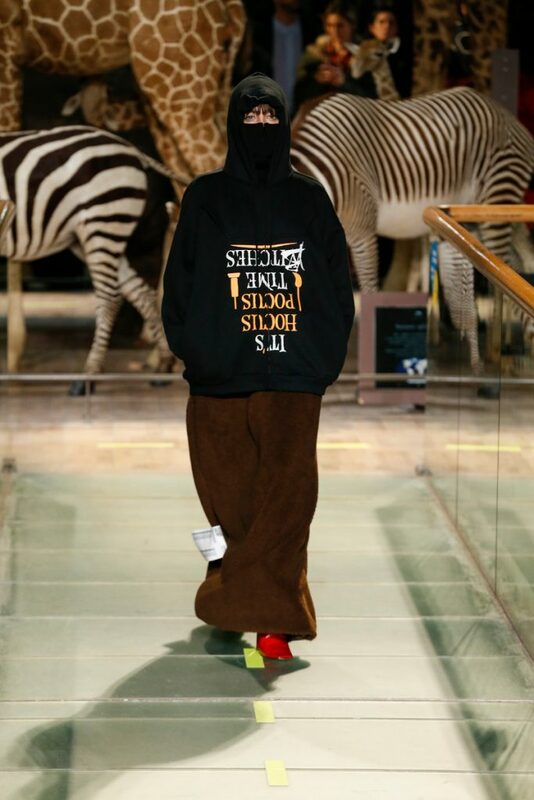 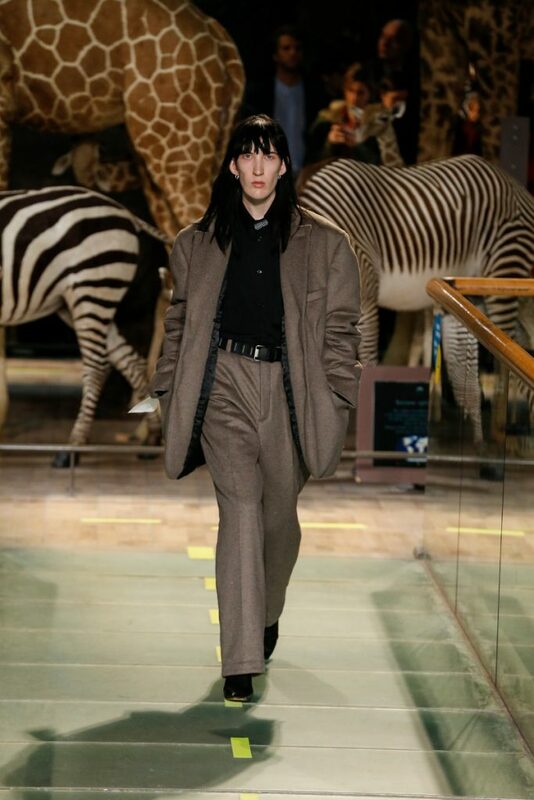 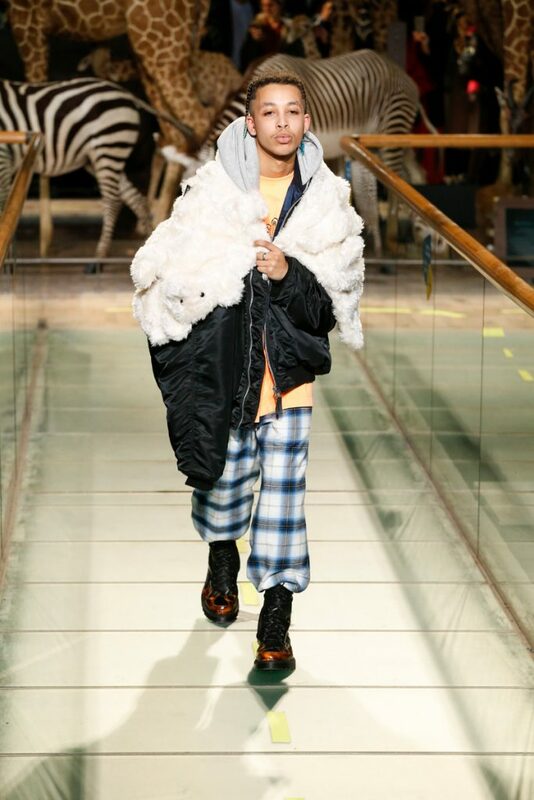 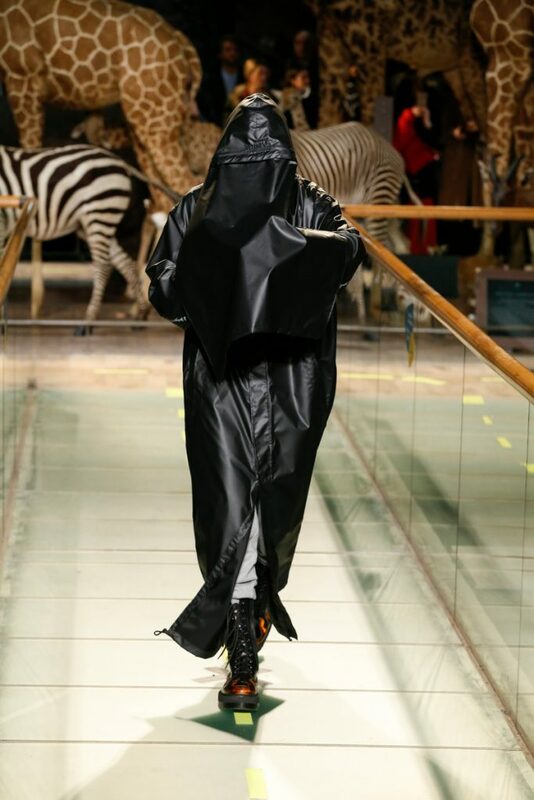 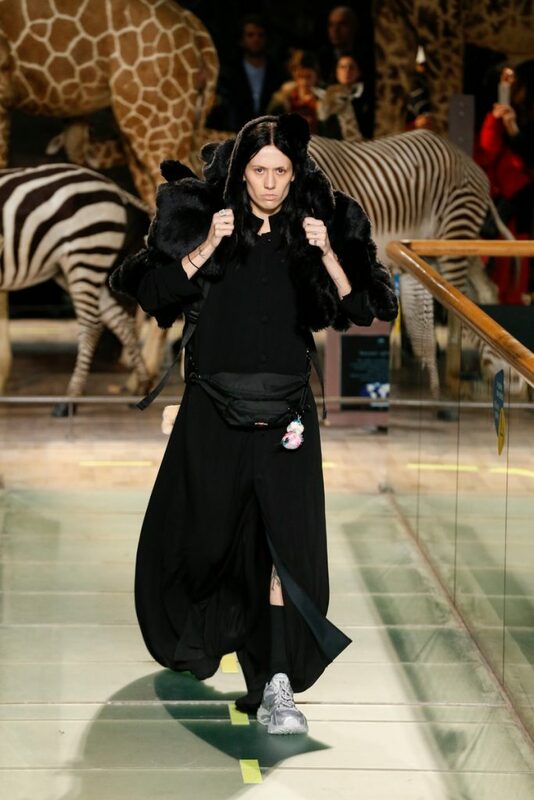 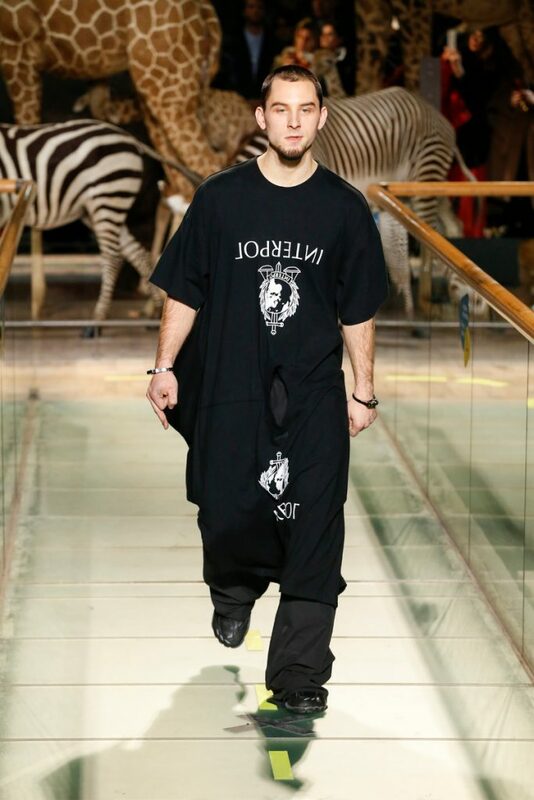 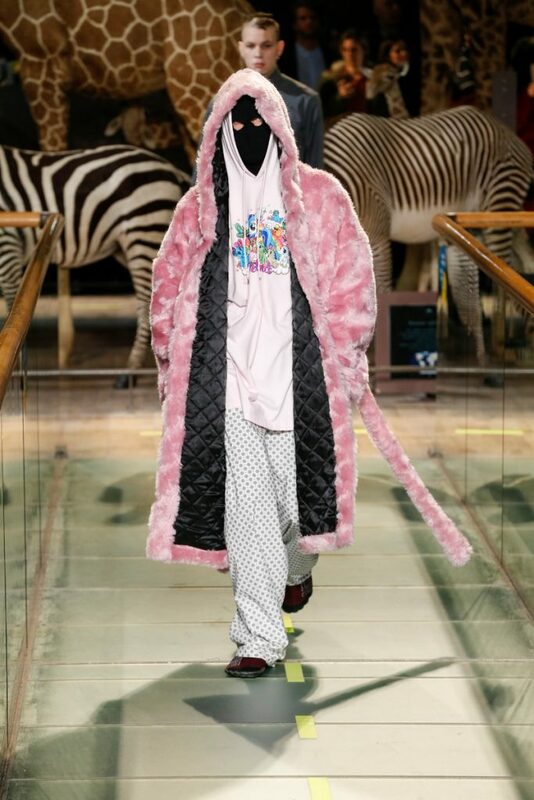 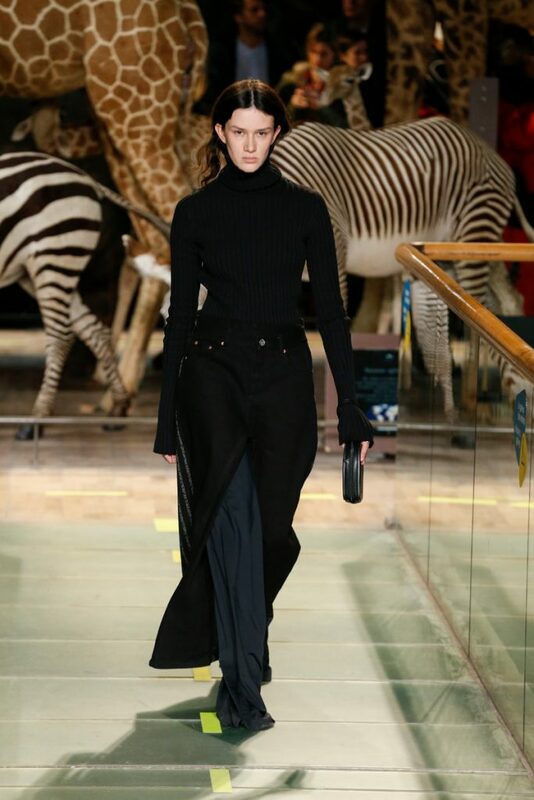 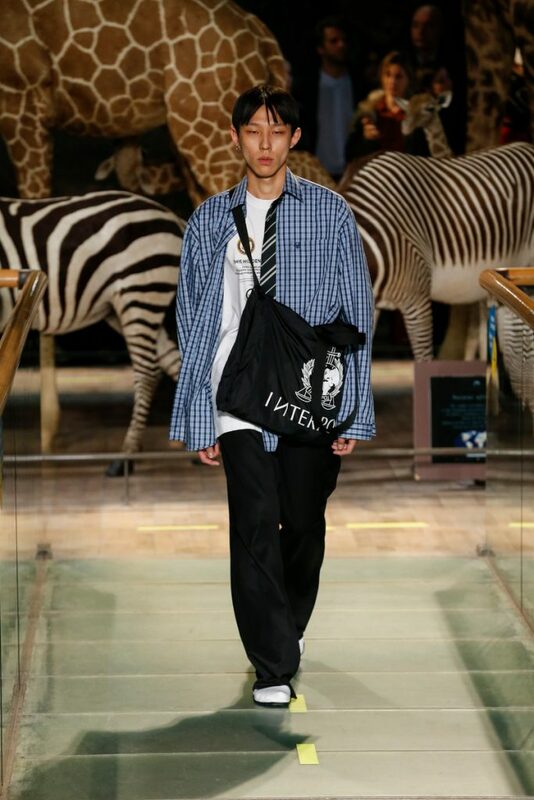 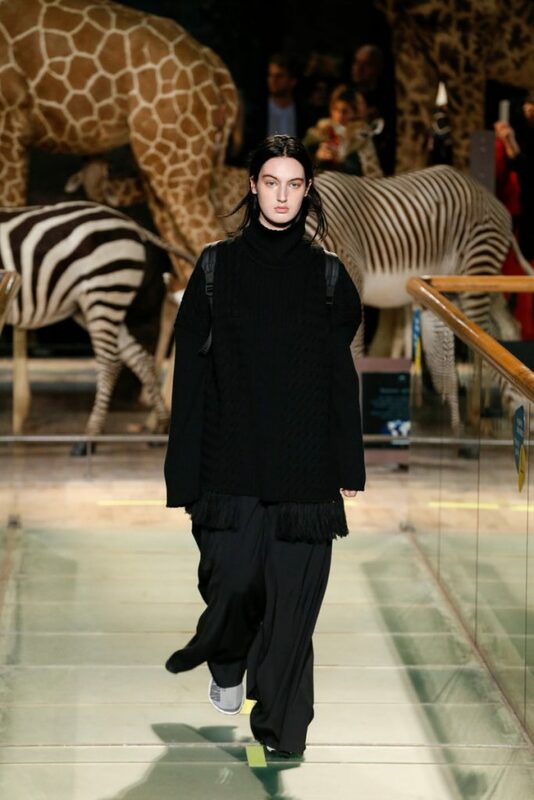 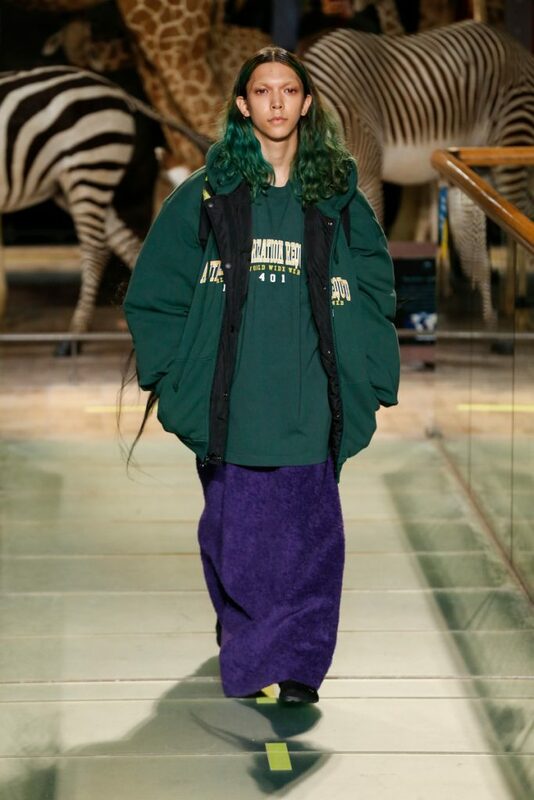 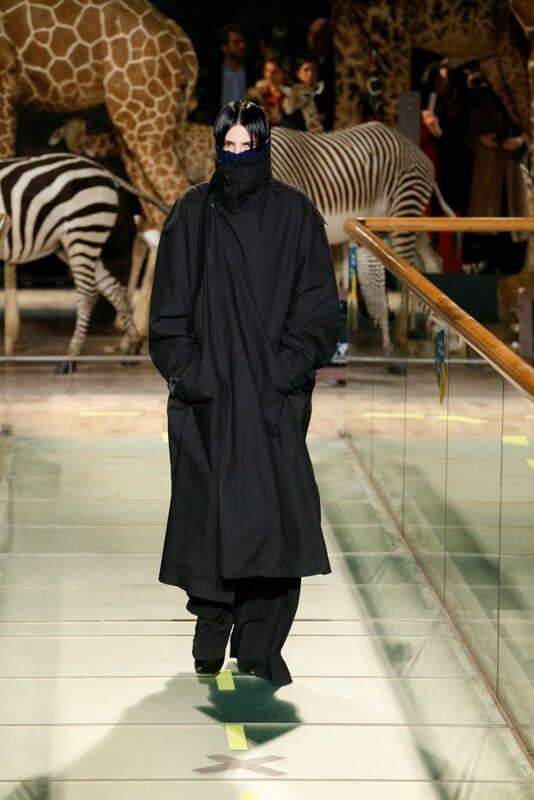 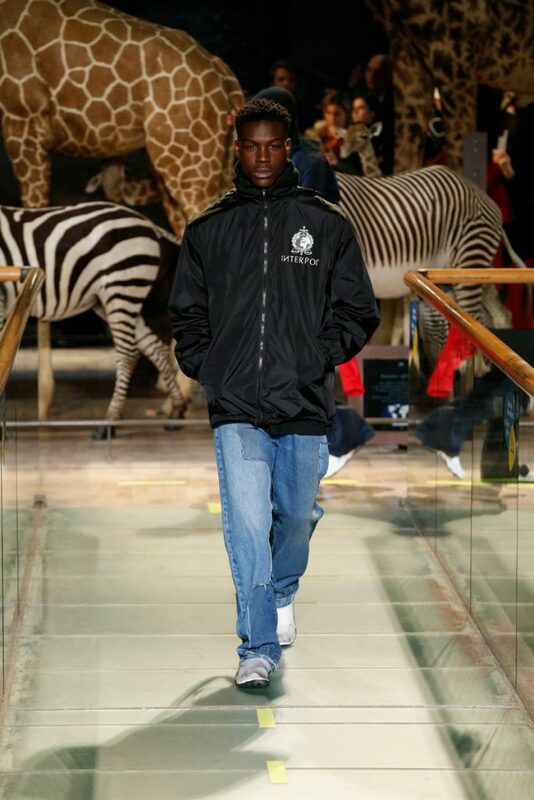 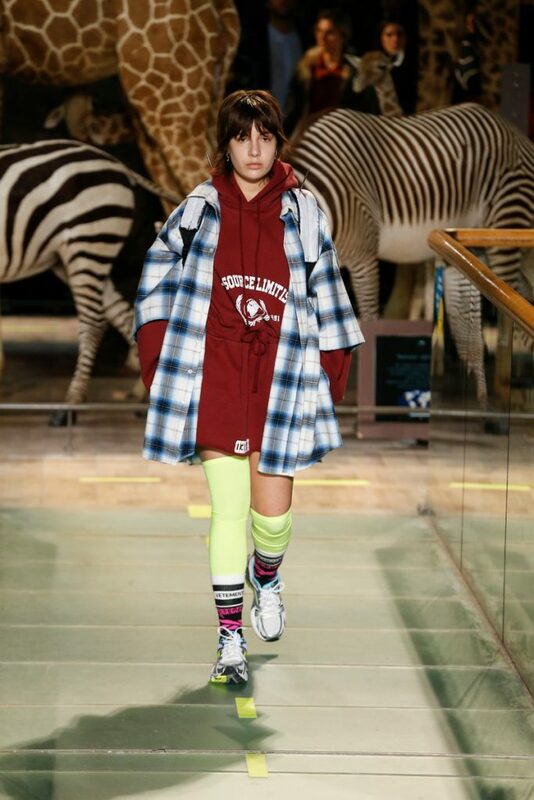 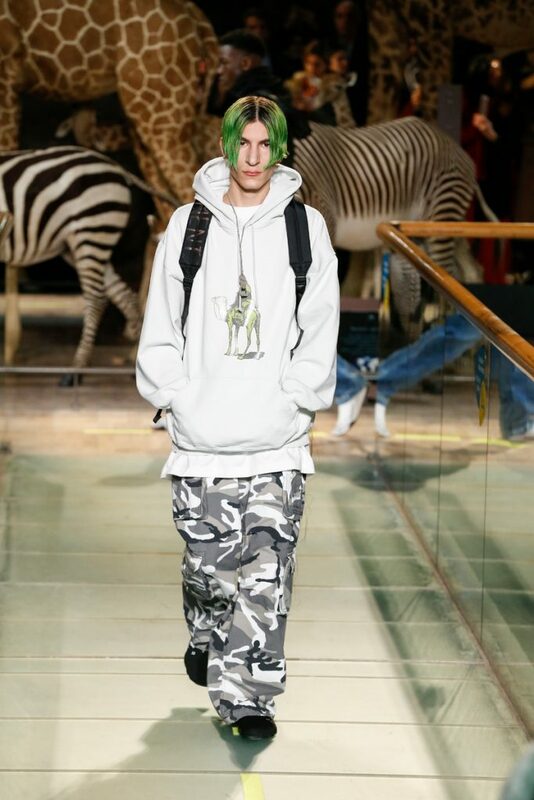 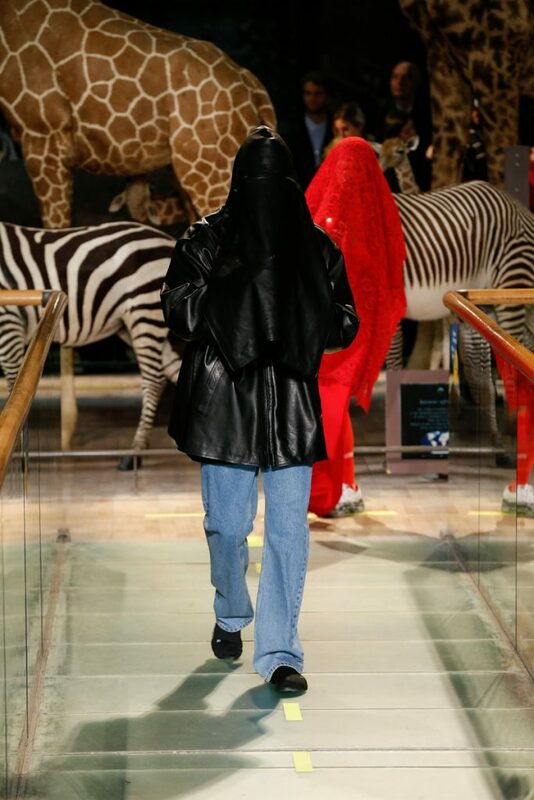 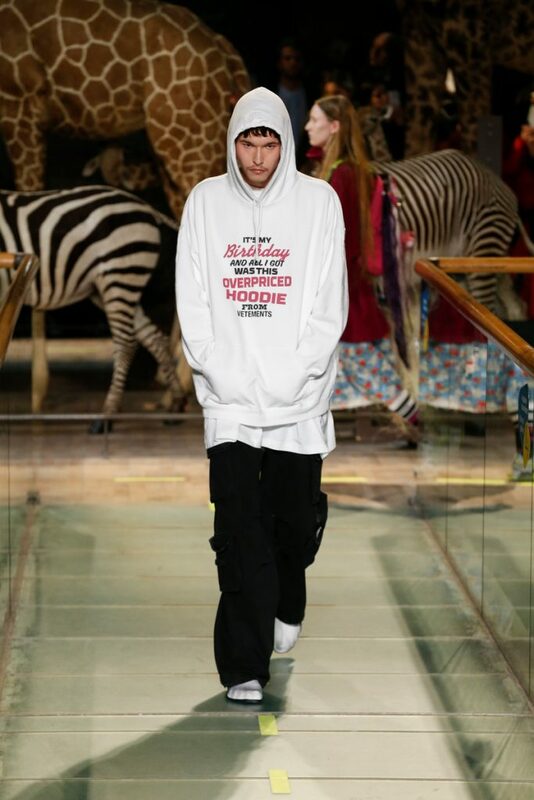 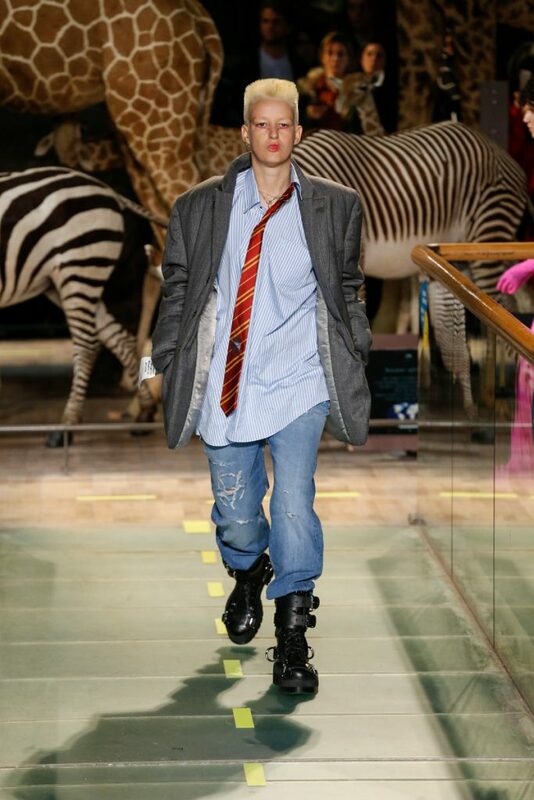 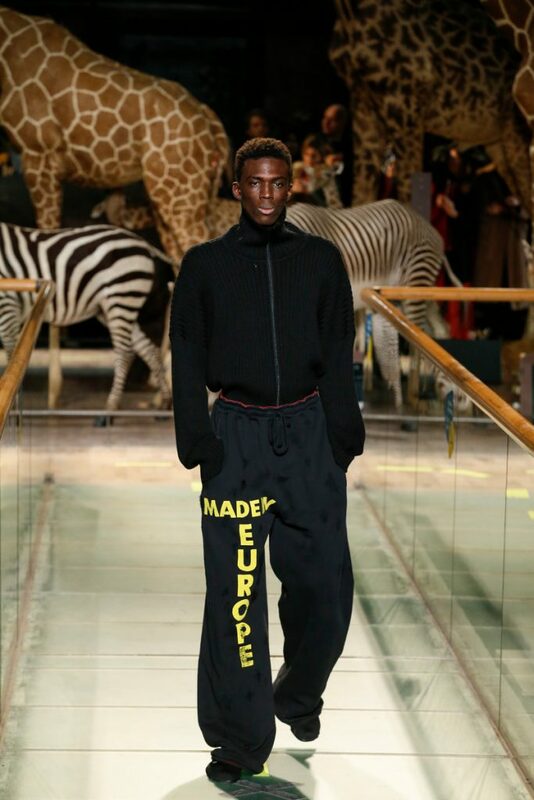 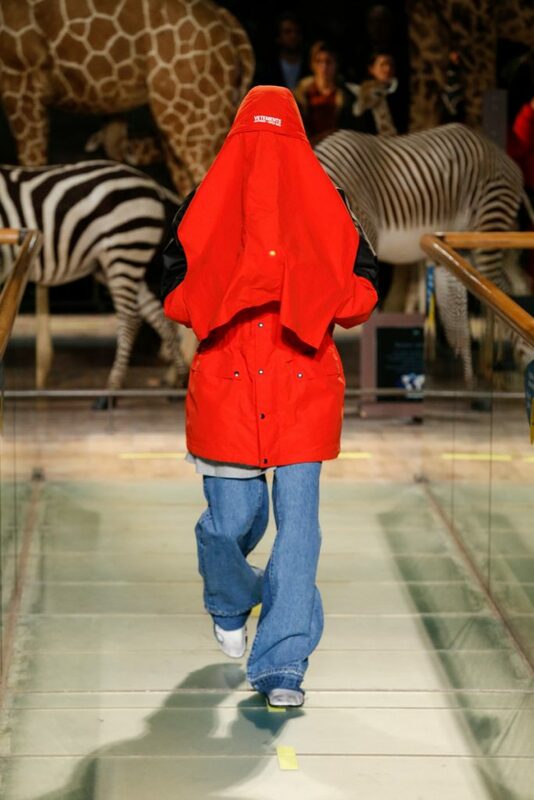 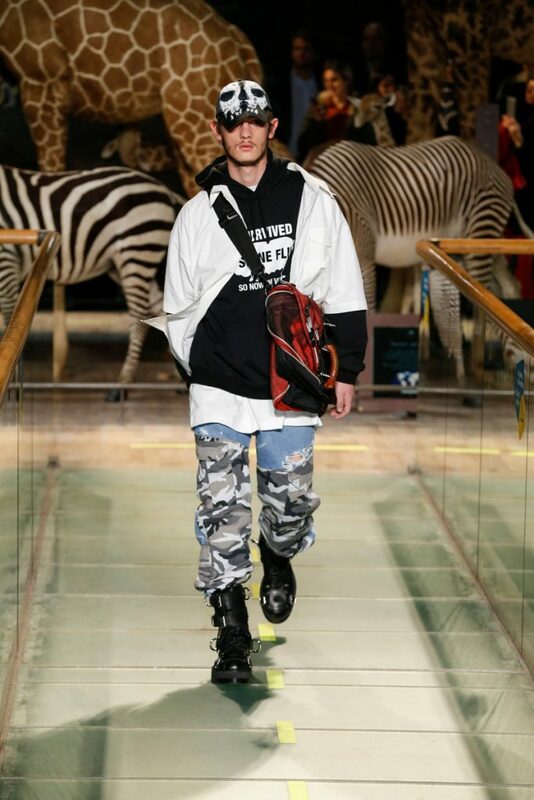 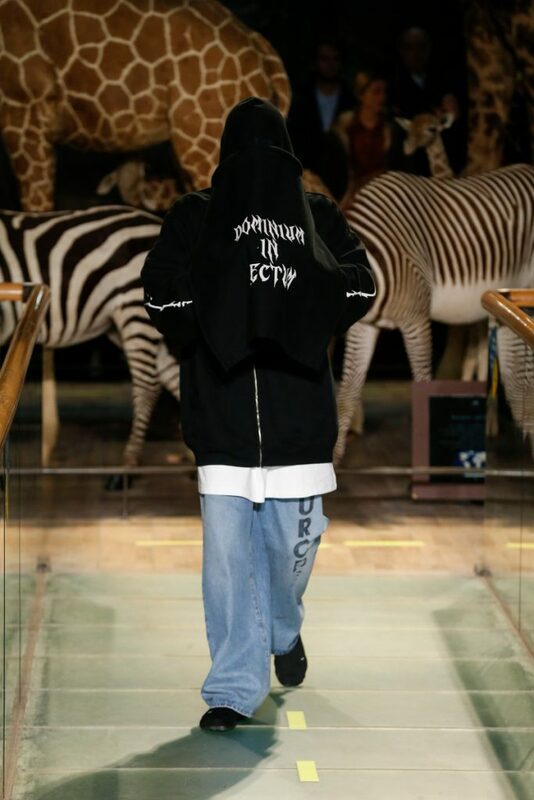 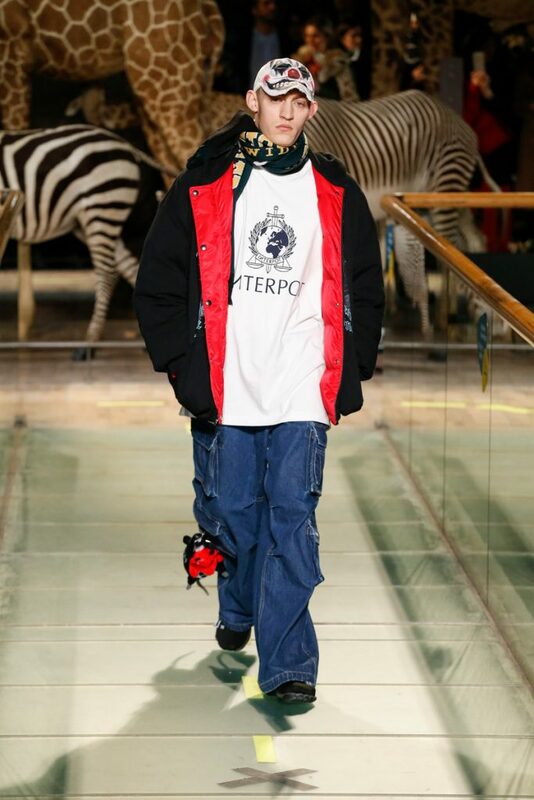 Stuffed animals at the French National Museum of Natural History formed the backdrop of today’s Vetements show. 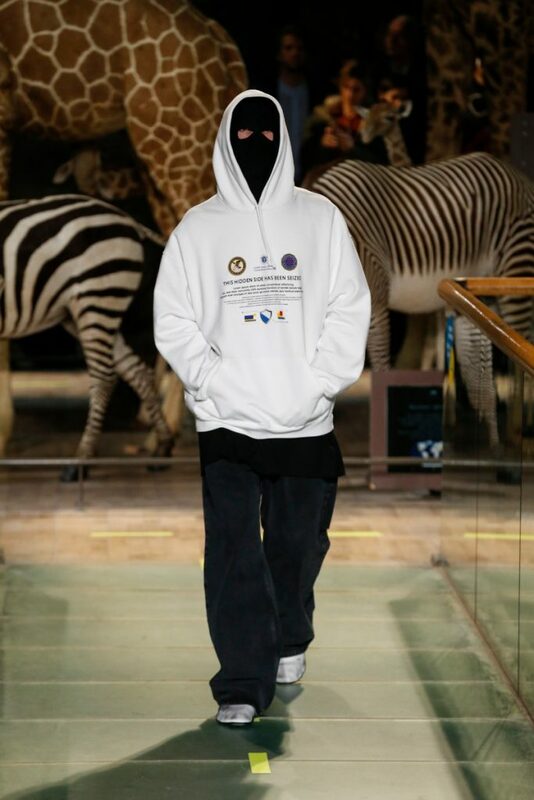 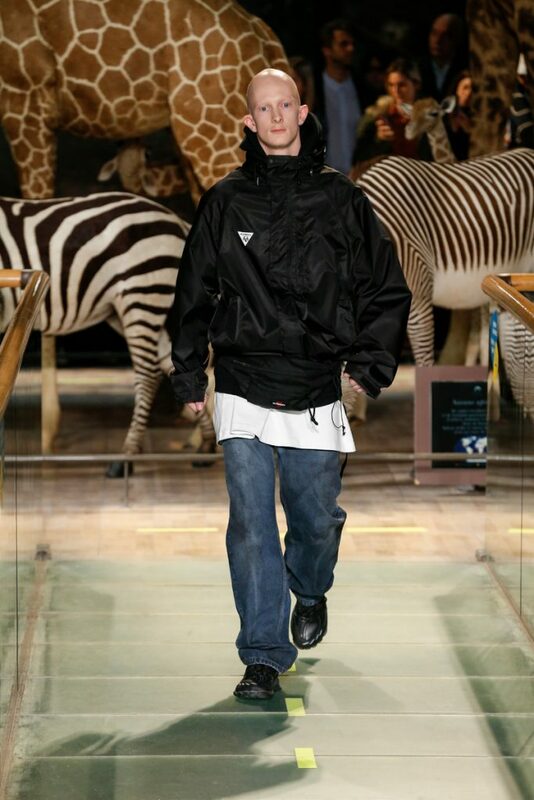 The clothes shown in front of them formed a dark mix of streetwear looks. 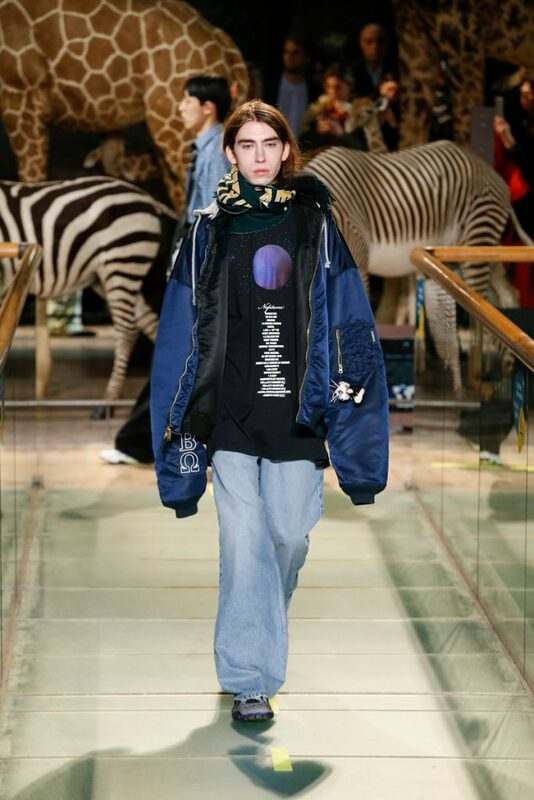 Oversized jeans paired with a hoodie, a denim jacket and a cap. 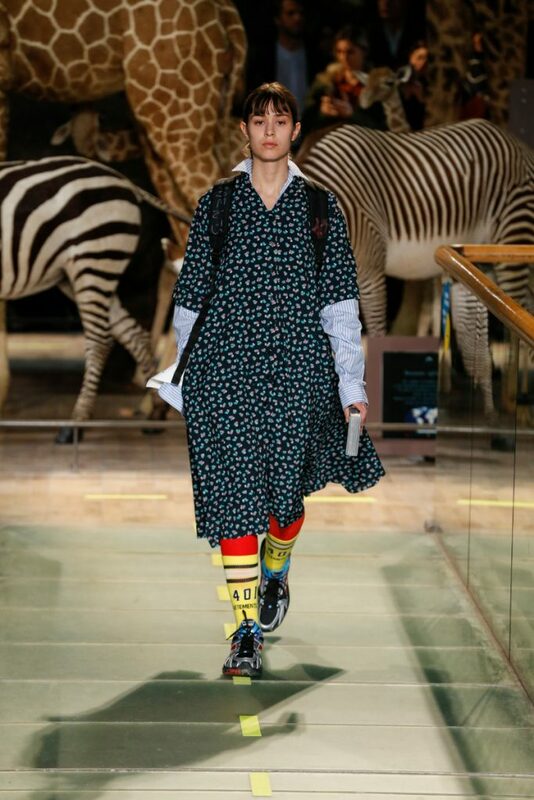 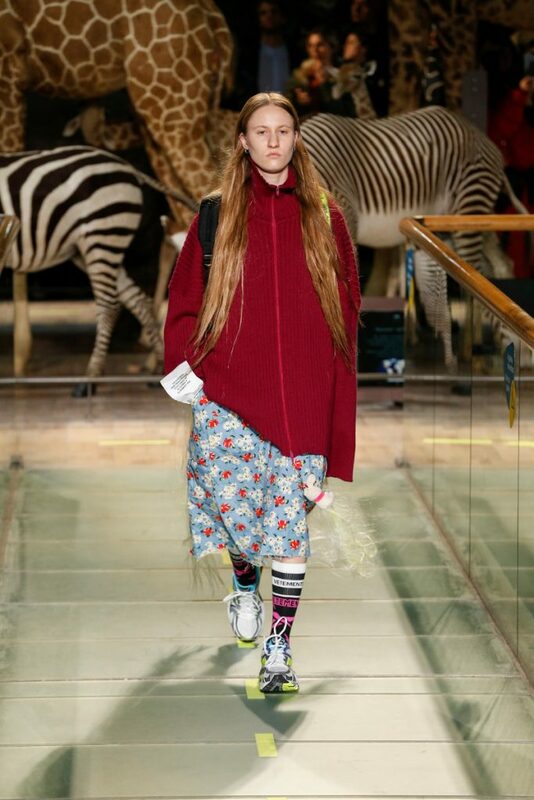 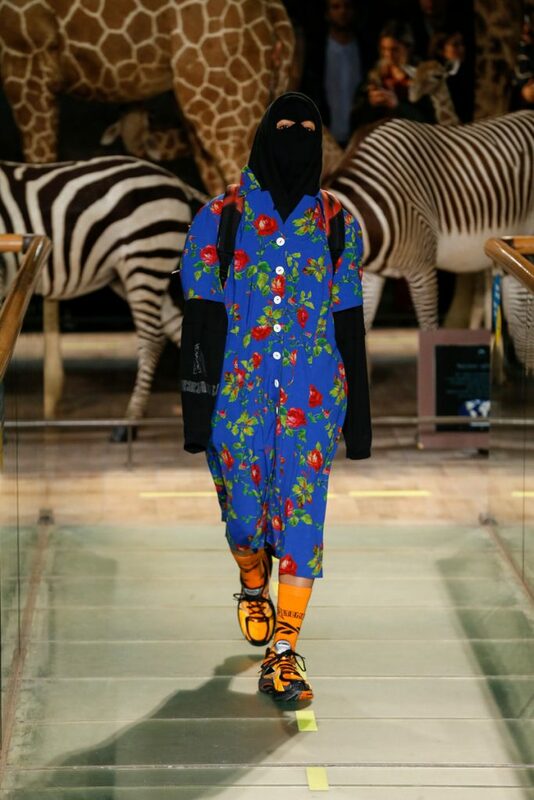 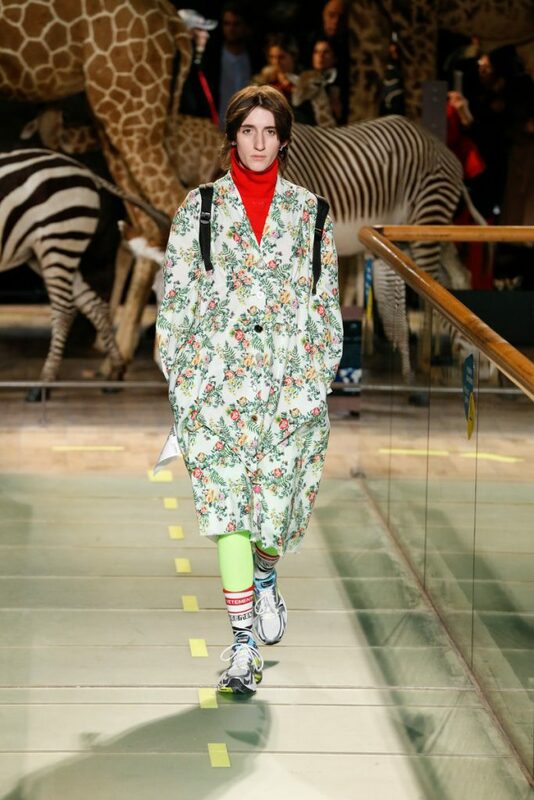 A floral printed dress worn over a red colored turtle neck paired with sport socks and sneakers. 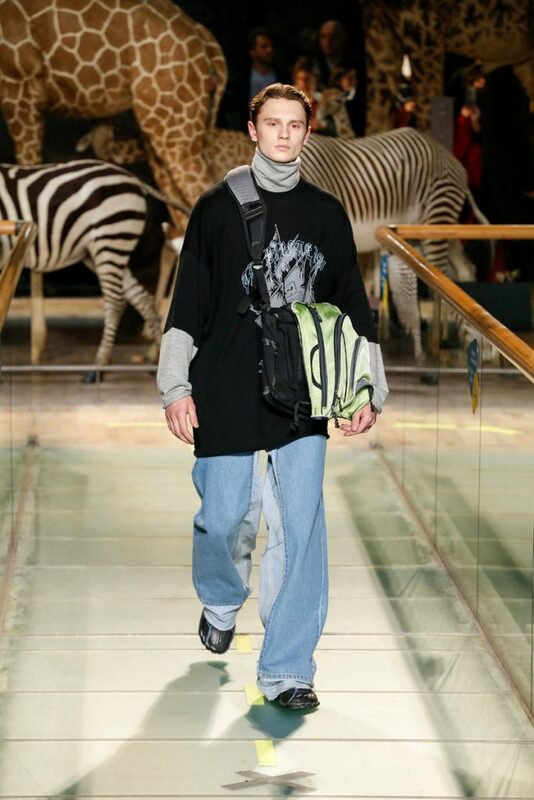 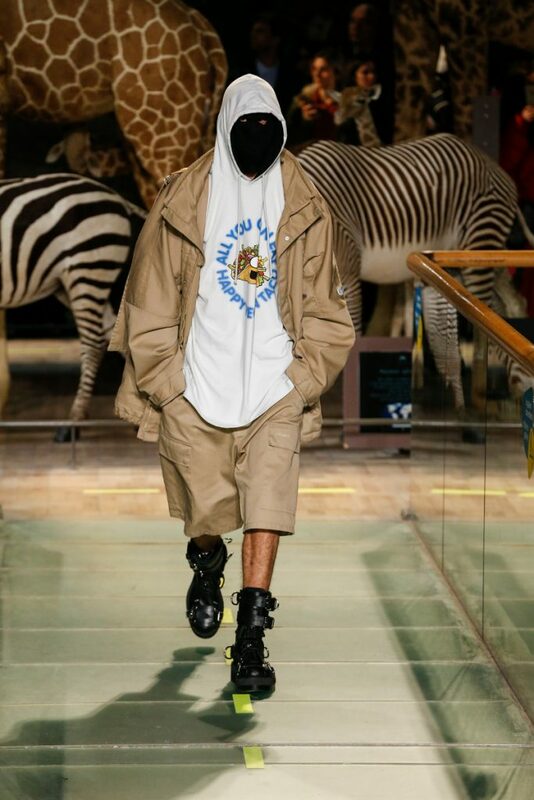 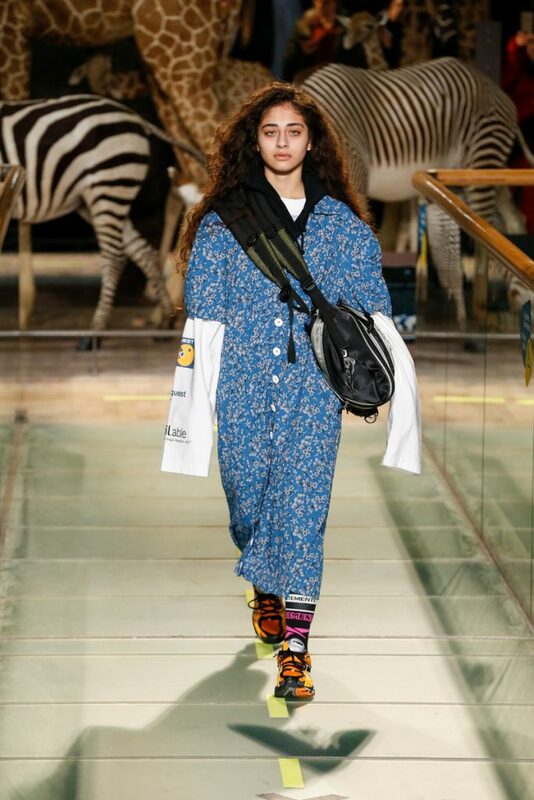 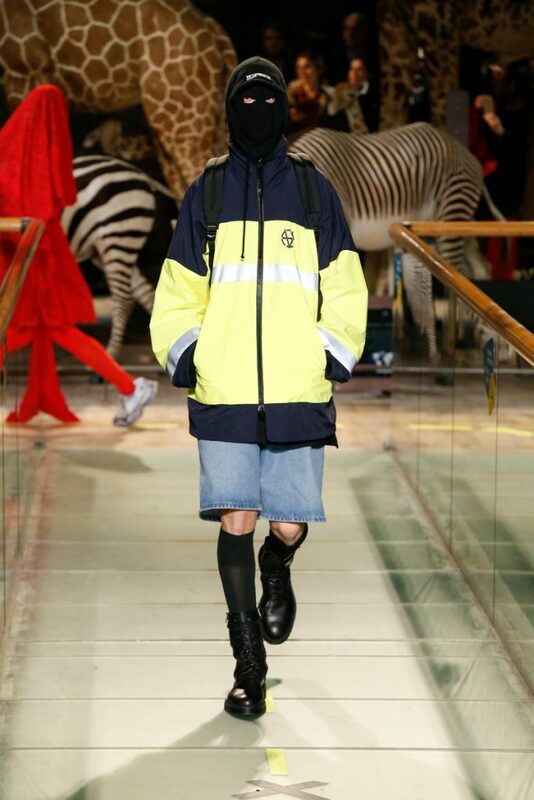 Everything was a bit oversized, backpacks, fanny packs and a few face masks completed the looks. 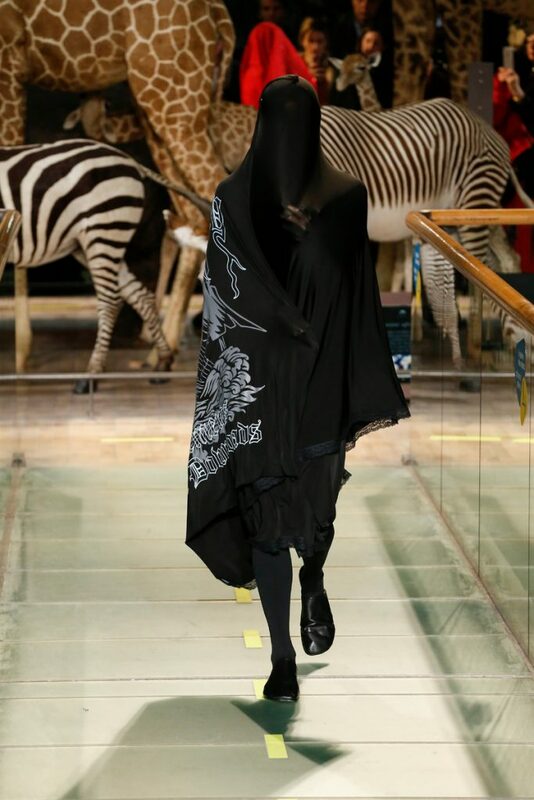 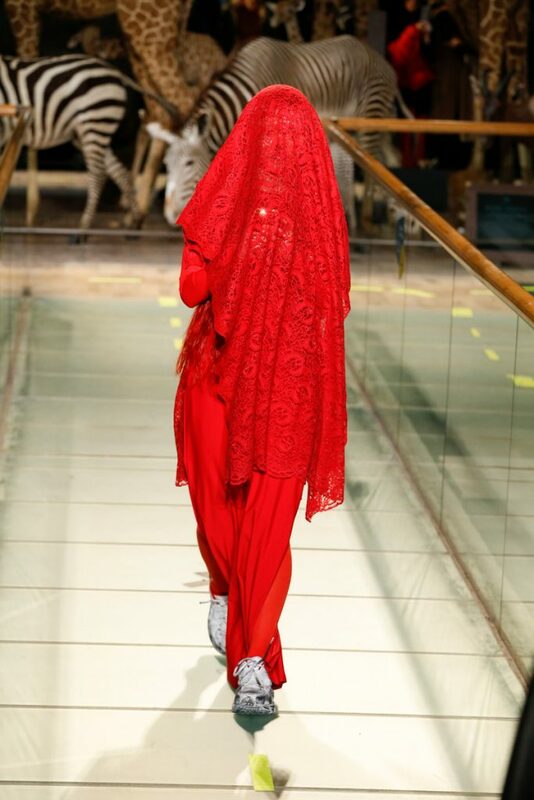 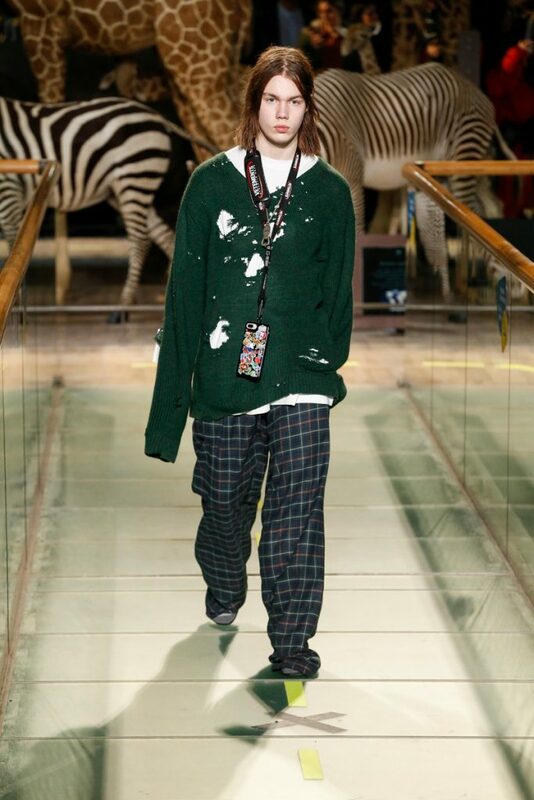 The last few models had their faces and upper bodies completely covered in scarves/pieces of fabric. 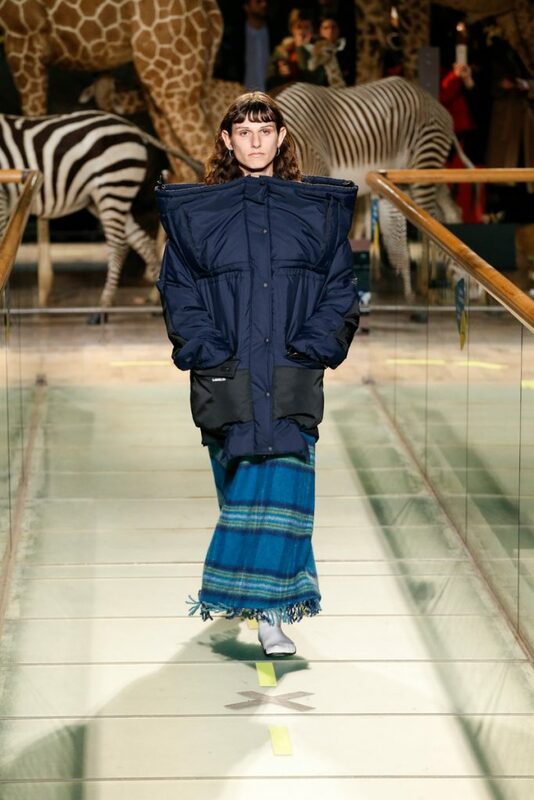 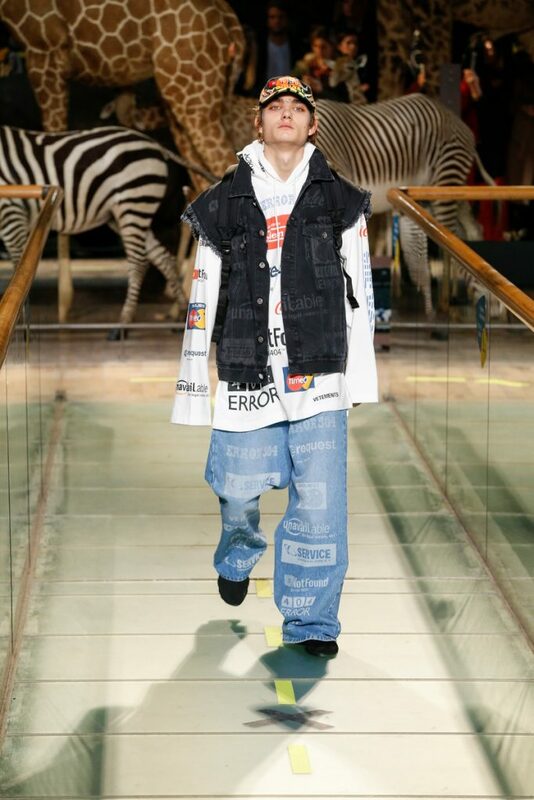 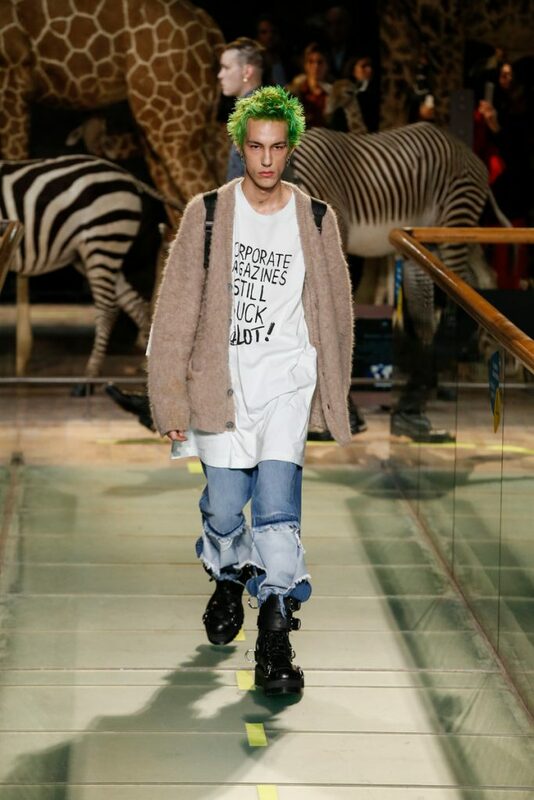 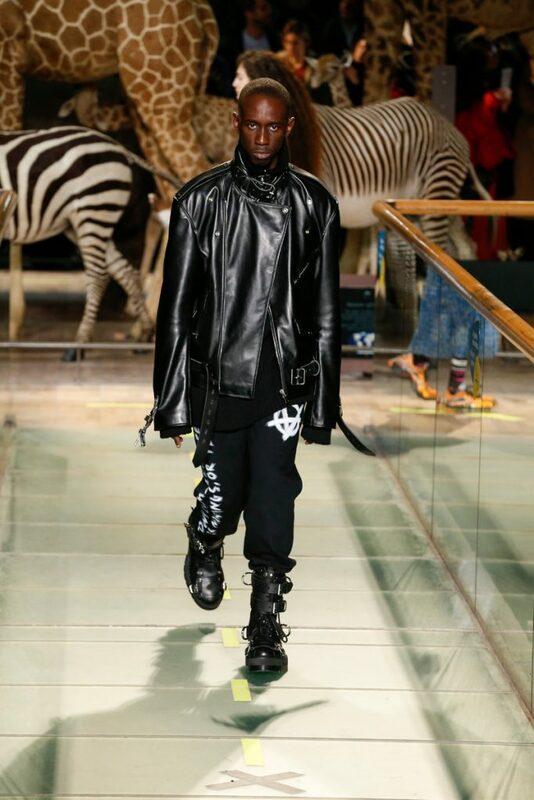 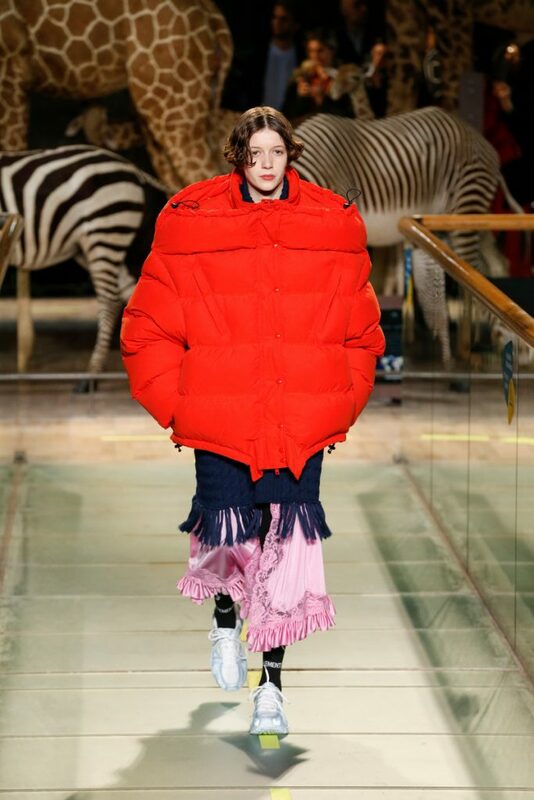 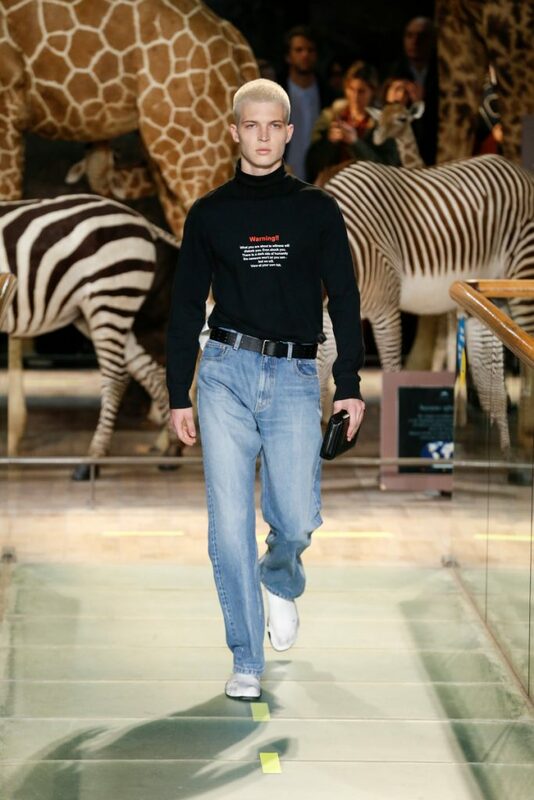 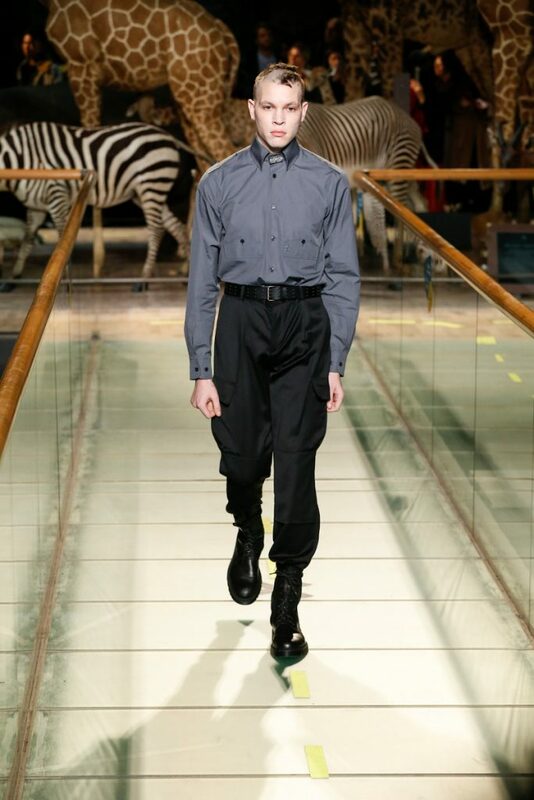 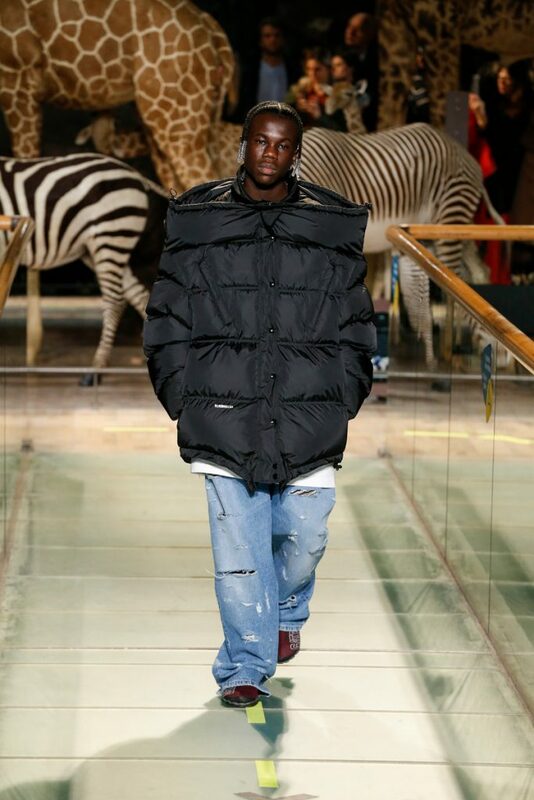 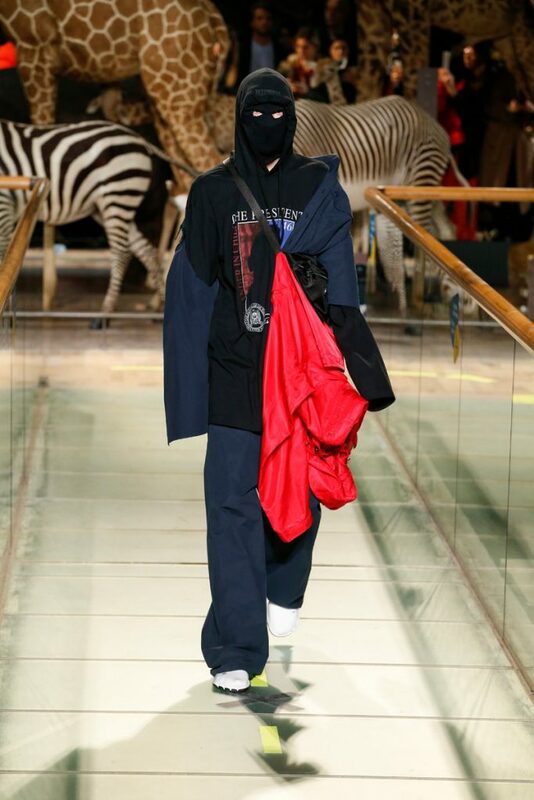 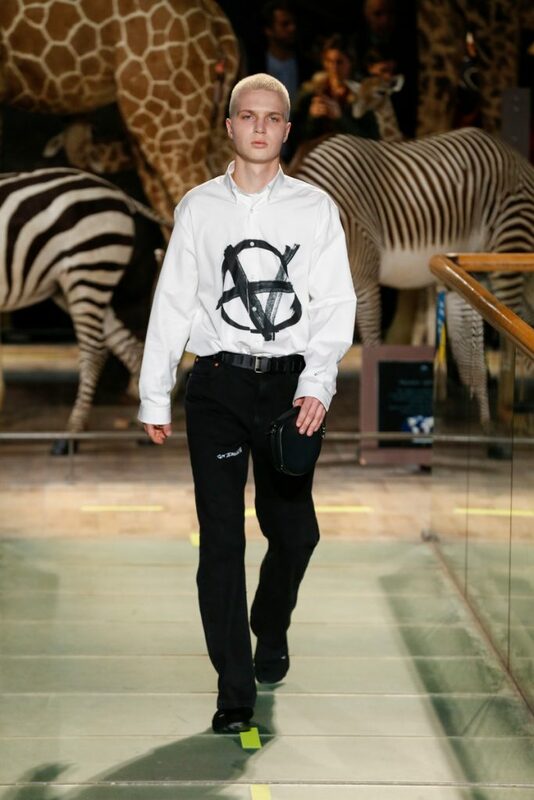 Fear formed a big source of inspiration for Demna Gvasalia. 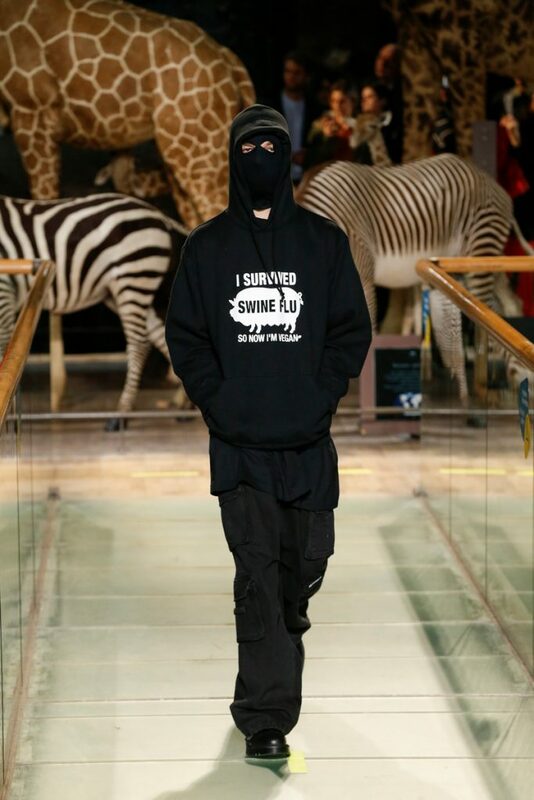 It wasn’t necessarily a very pretty or optimistic picture, but a realistic one nonetheless.